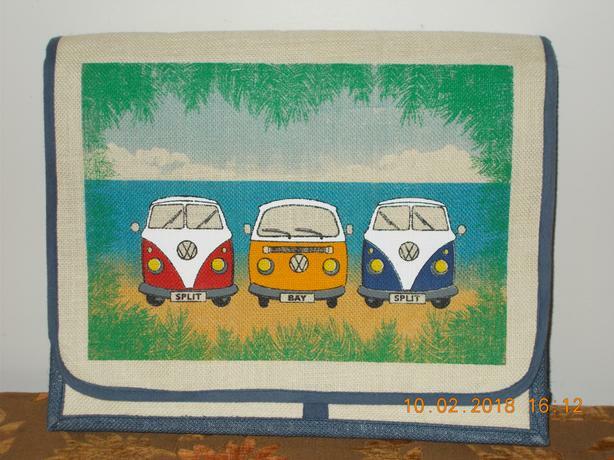 Canvas VW Camper Van Pattern Shoulder/Satchel Bag. Excellent Bag to art or a laptop. From a smoke free home, any other questions please ask.